For the vast majority of tennis players, the main reason we play tennis is because we find it fun. Putting the fun part aside, I am sure many of you have wondered about the benefits associated with playing tennis. Studies have been conducted and show that there are many benefits which make it one of the best sports to play for all ages. Below are a few of the major benefits outlined. This is the most obvious benefit because due to the fact that tennis players are constantly on the go, sprinting, jumping and hitting. What the average person does not realize, especially those who have never played the sport, is just how hard of a workout tennis can be. Competitive tennis burns more calories than aerobics or cycling, according to studies in caloric expenditures. People who participate in tennis three hours per week, at a moderately vigorous intensity, cut in half their risk of death from any cause, according to the late Dr. Ralph Paffenbarger, who was an internationally recognized exercise authority and studied more than 10,000 people for 20 years. Tennis improves your mental health in various ways. To become good at tennis you need a positive attitude and must constantly believe in yourself. Tennis outperforms golf and most other sports in developing positive personality characteristics, according to Dr. Jim Gavin, author of The Exercise Habit. Match play forces players to manage adversity and stress. Players have to adjust their game based on the elements in the environment around them, such as the wind, sun, court surface, noise and distractions, and must remain focused on the match and their opponent across the net. Tennis players scored higher in vigor, optimism and self-esteem while scoring lower in depression, anger, confusion, anxiety and tension than other athletes and non-athletes, according to Dr. Joan Finn and colleagues at Southern Connecticut State University. A high level of concentration is also needed during practice to develop strokes, as this same concentration is vital during match play to execute these same strokes under pressure. Players are required to think tactically and make necessary adjustments during matches. 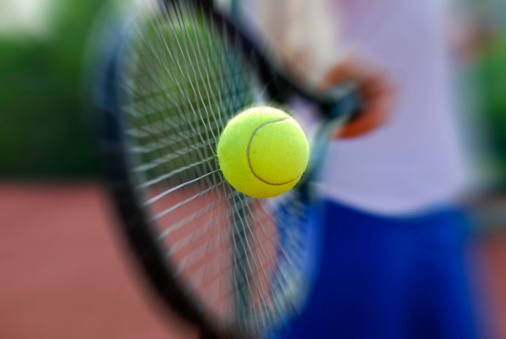 Since tennis requires alertness and tactical thinking, it may generate new connections between nerves in the brain and promote a lifetime of continued development of the brain, reported scientists at the University of Illinois. Tennis is a great way to meet new people and network, especially in New York City. There are many leagues, match play ladders, and group lessons at local clubs that people can join. Tennis is one of the most popular sports in the world, and more often than not, these groups will be very diverse in composition. Tennis is truly a sport of a lifetime because no matter your age, you will be able to play. You can start at any age, and since it is a complex skill, the challenge will still be there years after you pick up a racquet for the first time. Studies and scientific research have shown that tennis has a positive impact on almost every aspect of your life. So, if you are looking to improve your physical and mental health, expand your social circle and are looking at a sport you can compete in throughout your entire life, then tennis is your answer.